The widespread HBO hack from this past summer, which lead to the early leak of Game of Thrones scripts and full episodes of Curb Your Enthusiasm, Ballers and Room 104, has lead to charges being filed against an Iranian man. The U.S. District Attorney's Office for the Southern District of New York has filed charges against Behzad Mesri for his involvement in the HBO hack, where he and others tried to extort HBO for over $6 million in bitcoin. 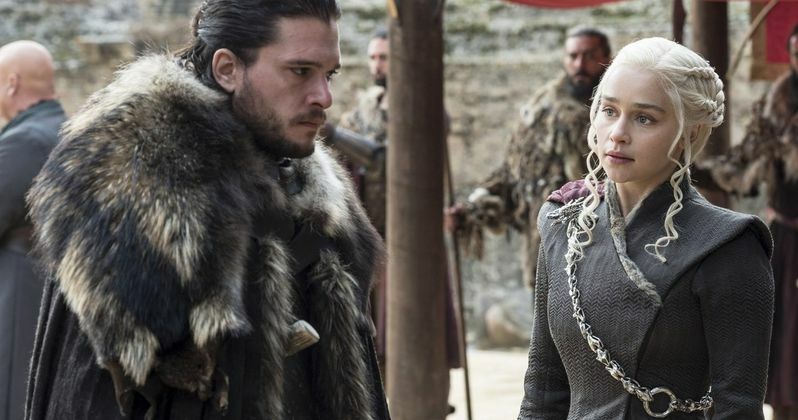 The leak also included internal HBO emails and personal information of Game of Thrones stars. We first heard about this hack in late July, when a Game of Thrones script was leaked, along with episodes of Ballers and Room 104. This indictment reveals, though, that the cable network was compromised between May and July of this year, with the unauthorized access gained through multiple user accounts of HBO employees. The 29-year-old Behzad Mesri is charged with one count of wire fraud, one count of computer hacking, one count of aggravated identity theft, three counts of threatening to impair the confidentiality of information, and one count of interstate transmission of an extortionate communication. Behzad Mesri has not yet been apprehended and extradited to the United States yet, but he has been put on the FBI's Most Wanted List for his role in the hack. Leaked emails revealed that HBO offered $250,000 to stop the leak, but that was far short of the $6 million the hackers were demanding. Mesri was known by the alias "Skote Vahshat," with prosecutors claiming that he had previously worked for the Iranian military and conducted computer network attacks against the Israelis. He is also said to be part of an Iran-based hacking group called the Turk Black Hat security team. During the same time as this leak, a separate hack took place, with the Game of Thrones Twitter and other HBO social media by a group known as OurMine. Unlike the Iranian "black hat" hackers, OurMine is well-known as a "white hat" group, meaning that their hacks aren't malicious in nature and are done to expose security flaws in systems. They had previously hacked the Twitter accounts of Wikipedia co-founder Jimmy Wales, Pokémon Go creator John Hanke, Twitter co-founder Jack Dorsey, Google CEO Sundar Pichai and Facebook co-founder Mark Zuckerberg. If Behad Mesri is apprehended and found guilty of these charges, he will face decades in prison for his cyber crimes. The hackers had claimed to have stolen a whopping 1.5 terabytes of data from the network, and what was leaked onto the internet was only said to be a fraction of what they had actually stolen. The Hollywood Reporter broke the news on the charges levied against Behzad Mesri for the HBO hack, and it remains to be seen if he will be apprehended for his crimes.